His own imprint Simma Black Records is going from strength to strength, with Simma Black releases becoming a staple in many a DJs crate. And with his own Simma parties packing clubbers in, Low Steppa certainly is a busy guy! 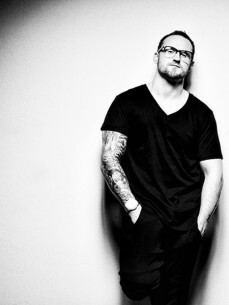 As well as his solo productions, through several aliases and collab projects like Twocker, Rudi Stakker, Bass Weazal, Dreadstemz, Low Steppa, Punk Rolla, Will Bailey, Low Steppa remains very much at the forefront of the bass music scene, with his productions gaining support from some of the industry’s biggest names including Fake Blood, Martin Ikin, Grant Nelson, Shadow Child and Kry Wolf. On top of which, recent radio support has come from the likes of Toddla T, Zane Lowe, Kissy Sellout and the Wideboys.